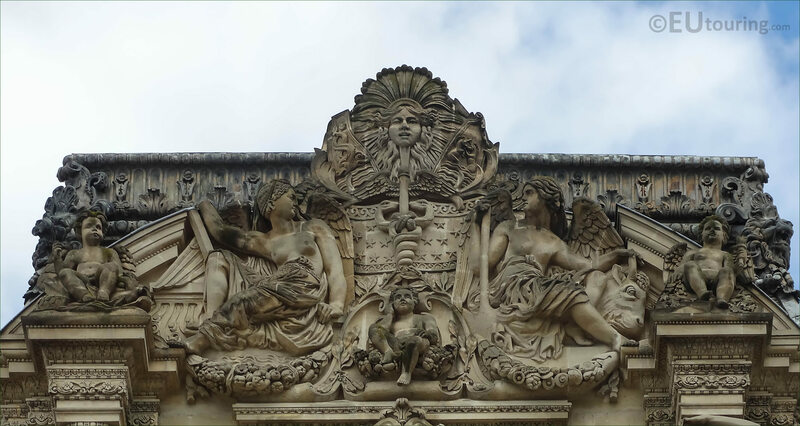 While we were at the Musee du Louvre in the 1st Arrondissement of Paris, we took these high definition photos showing a pediment on the Pavillon Colbert called Terre et l'Eau, which was sculpted by Nicolas Victor Vilain. 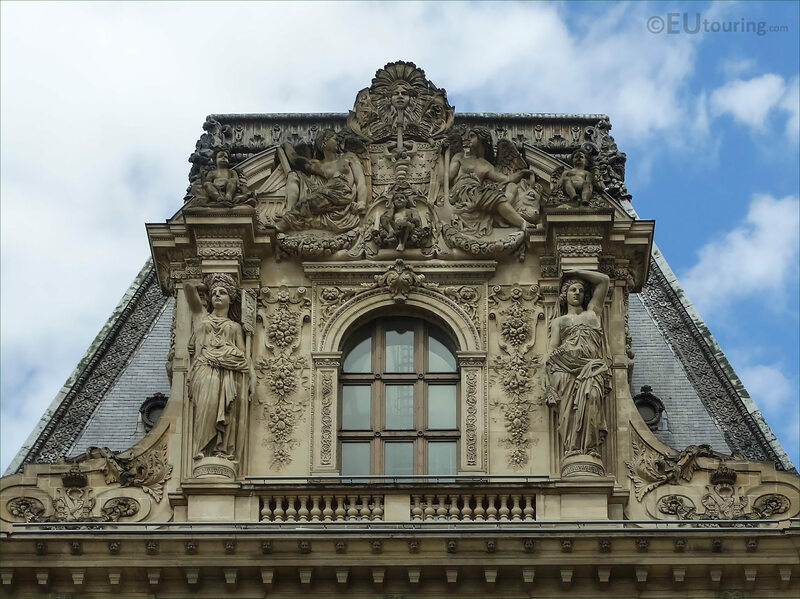 This first HD photo shows the ornate architecture at the top of the Pavillon Colbert wing of the former Palais du Louvre, and the pediment above the window is called Terre et l'Eau, which translates in English to Earth and Water. 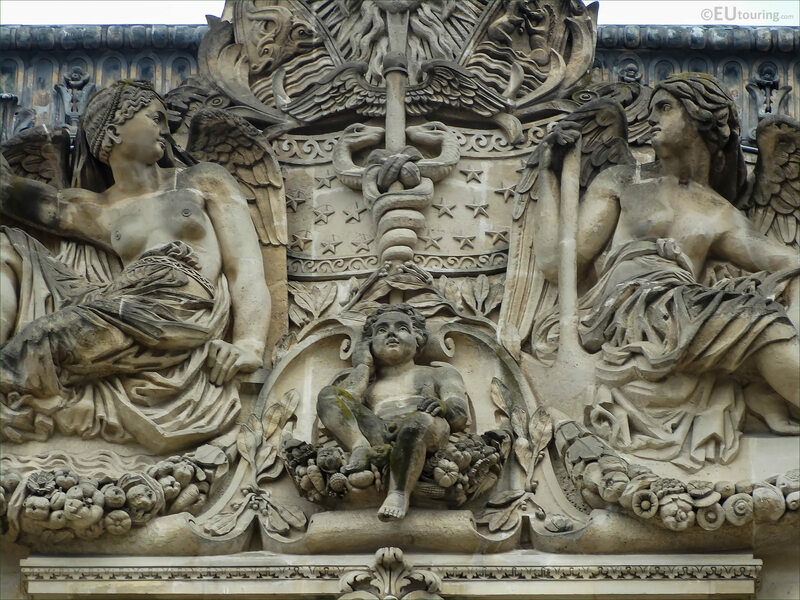 Due to the height of the Louvre, it is often hard to see the fine details that went into producing the numerous different sculptures, but we took this close up photo showing the pediment with the cherubs, mythical winged figures and more, which was sculpted by Nicolas Victor Vilain. But here you can see even more of the detailing of the Terre et l'Eau by Nicolas Victor Vilain, who was born in Paris in 1818 and studied at the Ecole des Beaux Arts, being a student of James Pradier, so that he could become a French sculptor himself. And having won the Prix de Rome, spending time at the French academy in Rome, he furthered his studies and with the impressive works Victor Vilain produced, he started to receive many public commissions that included several for The Louvre. 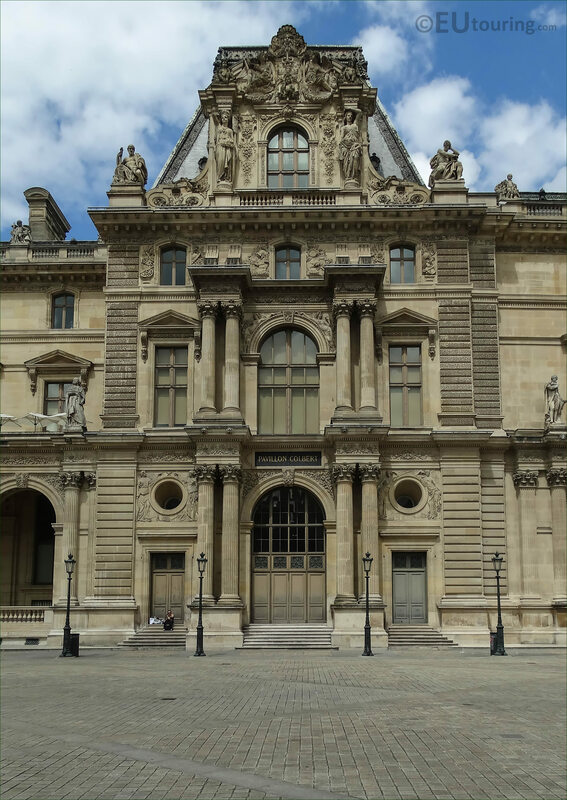 Now this photo shows the entire Pavillon Colbert wing of the famous tourist attraction in Paris with the top pediment sculpture of Earth and Water, which faces in a southerly direction on to the courtyard of The Louvre Museum called the Cour Napoleon.